In churches and cathedrals across the country yesterday, prayers were said and special votive candles were lit for the victims and survivors of sexual abuse. Since 2016, the Irish bishops have held an annual Day of Prayer for Survivors and Victims of Sexual Abuse. The day was instigated following a suggestion from Pope Francis that such a day of prayer would not only be an act of healing, it would also help focus the minds of Church members on the need to continue to be vigilant in the fight against sexual abuse within the Church. 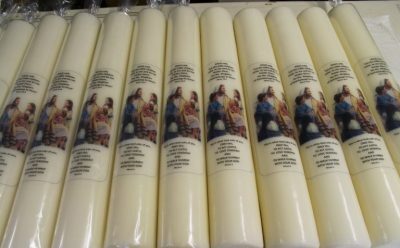 During the day, “candles of atonement” were lit in places of worship, with many of these candles having been blessed by Ireland’s bishops during their retreat in Knock last week. In parishes where these particular consecrated candles were not available, local priests blessed and dedicated candles using a special prayer, which is reproduced below. Coincidentally, this year’s Day of Prayer comes a week ahead of a Protection of Minors meeting taking place in the Vatican. Archbishop Eamon Martin of Armagh, the Primate of All Ireland, said this meeting offers the Church an opportunity to come together and to recommit itself to ensuring that best practices in child protection “are in place throughout the world and not just in some countries which have already had the bitter experience of realising this awful crime of abuse”.